13 Waihopai Valley Road, RD 6, Blenheim 7276, New Zealand. 500 Mamaroneck Ave, Harrison, NY 10528. Sign-up to receive Dashwood updates on news, events, awards, and special offers from Foley Family Wines. 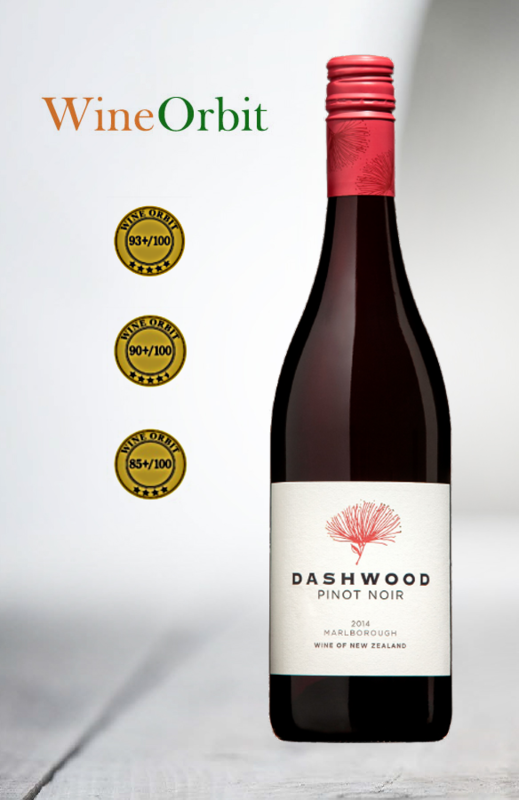 Dashwood's 2014 Pinot Noir wins 5 stars from Wine Orbit. Sam Kim says the wine is "Upfront and fruit expressive, this highly enjoyable pinot is filled with dark cherry, plum, mixed spice and game characters. The palate delivers excellent fruit weight and silky texture, nicely framed by fine tannins. The wine is generous and harmonious, and finishes long and comforting"